The DUP is locked in negotiations this weekend as beleaguered British Prime Minister Theresa May seeks to win its support for her deal to leave the EU. Party members met with UK Chancellor Phillip Hammond yesterday, fuelling speculation the DUP will seek more funding for Northern Ireland in order to secure its support. Getting the DUP on board with the deal is seen as key in unlocking support from the majority of the Eurosceptic Tory grouping the ERG. 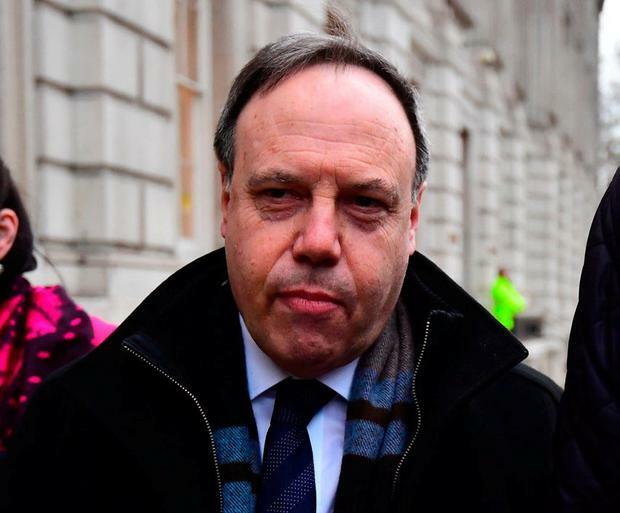 The party's deputy leader, Nigel Dodds, said talks have been "good" and said the party wants to secure a deal that works for all parts of the UK. Mrs May's deal could go back for a third meaningful vote before the House of Commons early next week. "Solidarity behind Ireland remains rock solid, steadfast, and unwavering," he said.